Clockenflap Music and Arts Festival, commonly known as Clockenflap, is an annual festival held in Hong Kong. It is regarded as a premier show in Asia. Featuring top artists from all over the world, the three-day event brings together rock music, electronics, hip hop, ballads and more, as well as visual arts exhibitions and performances. Innovative elements such as silent disco, film tent, art installations and children’s entertainment area can also be found. The festival attracts tens of thousands of people every year. Clockenflap was founded by three Brits, Jay Forster, Mike Hill and Justin Sweeting in 2008. It was originated from the Rockit Festival that held annually from 2003 to 2006 in the Victoria Park, Hong Kong. Inspired by several major international music and arts festivals, such as the Contemporary Glastonbury Festival in the United Kingdom, the Fuji Rock Music Festival in Japan, and the South by Southwest in the United States, the trio wanted to organize an interactive large-scale music festival in Hong Kong. They would also like to push Hong Kong to Asia’s contemporary multimedia art scene indirectly. 2008 – 2009: The festival was held at the Cyberport near Aberdeen. Artists from Britain and Hong Kong participated in it with over a thousand of audience. 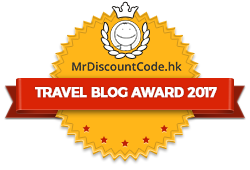 2011: First held at the iconic new location, the West Kowloon Waterfront Promenade. French artists are invited to join the performance. This one (and the only one till now) was completely free to the public due to various restrictions preventing the sale of tickets. 2012 – 2015: The festival was held at the West Kowloon Waterfront Promenade and later the West Kowloon Cultural District. New elements like a children’s entertainment area, an installation art district, an independent craft market and a silent disco are included. DIY workshops, giant blow-ups, multi-purpose experimental big stage and movie playing areas were set up which attracted over 20,000 attendants. 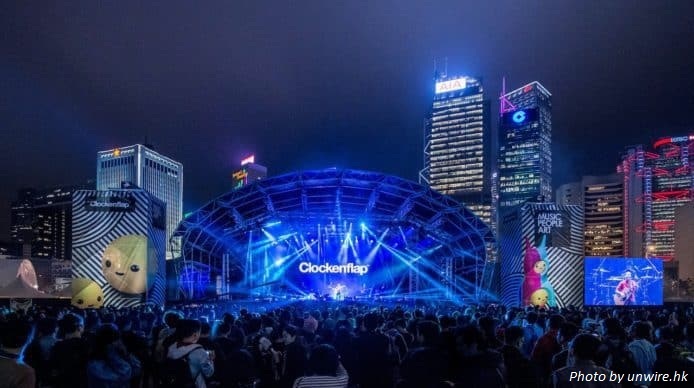 A Clockenflap Pro Mini Concert was organized in Kwun Tong the night before the official Clockenflap in 2015. It has started to become more popular and international with performing units coming from all over the world, such as those from Greater China, East and Southeast Asia, Western Europe, Scandinavia, North America, Latin America and Africa. 2016: Clockenflap was first held at Central Harbourfront Event Space. Are you going to join the Clockenflap Music and Arts Festival? Which performances do you like most? Please feel free to leave us comments or contact us if you have any questions.